This is a very deep book, dealing with serious subjects. I will not explain its driving event, but within two chapters, any experienced fiction reader will know. I get the impression that the subject is very near to the author's heart, in one way or another, and I give her credit for writing about it. The diary form can be difficult to get into, and the mundane feeling of the larger events can be wearing. Some of those events resemble a soap opera, but the story becomes more compelling and you realize that these external conflicts are not the main plot of the story—they are incidental, emphasizing the narrator's increasing distance from others. The narrator's depression is a looming presence, like the monster lurking in a horror movie. "I'm hollow" is the constant refrain and it grows more painful all the time. "The Diary of Harri Fox" is fairly heavy in a certain British dialect that gives the work charm. It is very much a novel about a place and social class. The main character seems a lot older than a woman in her forties, though her condition could contribute to this. One of the last scenes of the book is truly horrific, graphic in painful, roundabout way. This is not something for the faint of heart. 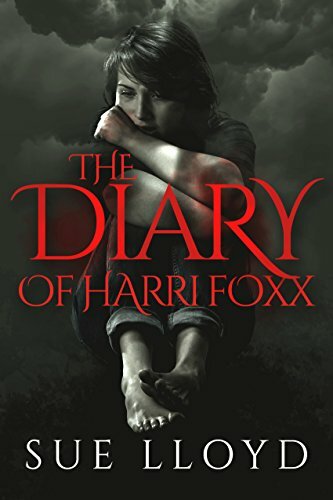 If you want to read a book about a subject rarely touched upon, with the air of horror movie, read "The Diary of Harri Fox." I wish the author the best, because this must have been intensely painful to write. I'm officially addicted to writing! Having relocated from the UK to Germany during the summer of 2015, I started working on a novel that I began to write over fifteen years ago. I'm an unashamed people watcher and have a fascination with psychology. My passion for both enables me to add meat and bones to the characters who are smart enough to escape the confines of my imagination. I love to read original fiction and enjoy the sort of book you can curl up with on a rainy day and devour. My primary aim in writing is to draw the reader into the story. I want to take you on a journey you will remember long after you have read the last words. She enjoys keeping her readers updated, on her Amazon author page and social media.